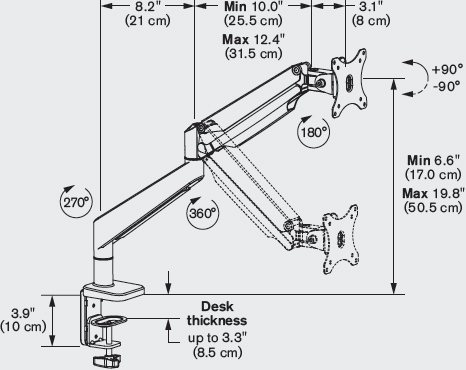 Innovative Envoy is the affordable yet powerful articulating arm for any workspace. Complement any office design while working in ergonomic comfort and saving space. The effortless one-touch monitor adjustment allows you to work in a comfortable ergonomic position. Envoy lets you reclaim your desktop with the sleek cable management system and will complement any workspace.